What does it mean when a website is indexed? Search engines use a specific algorithm and deploy what are generally referred to as spiders, robots and crawlers when scanning the millions of content on the Web for updates, quality and relevant keywords and tags. When a site is indexed in Google, Yahoo or Bing, or any search engine that website’s pages are stored in the servers memory or database for each search engine. When a site is indexed, it shows up on the search engine when specific keywords are entered. Generally speaking, the more pages of content that a website has the more frequent it will show up in search engine results. What are the indicators that my site needs SEO services? Generally speaking, if your website is not leading to more sales and conversions, then there is possibly something that is not being done correctly. Most likely you are not getting enough traffic. Your web site may not even be indexed and if it is, then it is probably on page 10 or beyond of the search engine results page, and almost no one searches that far into a search engine. 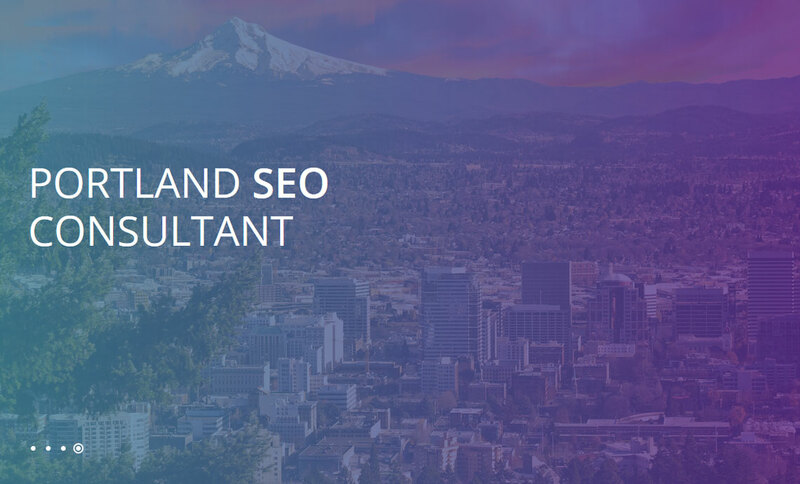 It goes without saying that you could most likely benefit from our Portland SEO services. What does the term “Organic SEO” mean? Organic SEO means building backlinks in the most natural way possible. Some site owners attempt to manipulate their way into better page rankings by resorting to unethical and black hat methods, such as spamming and creating hundreds of low quality and unreadable content. The engineers who created the algorithms soon picked up on this and altered the algorithm to better detect and filter out low quality content. They also began penalizing sites guilty of using such tactics by banning the website altogether. Why can’t I optimize my website myself? Well, you can. In fact, some people do. However, keep in mind that SEO is an ongoing process. This means you would have to spend hours a day researching the best keyword phrases, creating hundreds of unique and high quality content and submitting them to various article directories and blogs. Normally, this is too much work for any one individual to handle. Furthermore, if you are using keywords that are either too competitive or don’t generate enough searches, then your efforts are domed before you even begin. Are all search engines created equal? There are dozens of search engines, and Google stands at the top and is listed as the primary search engine for roughly 60 percent of the users. Yahoo comes in at second with about 20 percent of the users. Other notable search engines include Bing, Live, Alta Vista, Excite, Hot Bot, AOL and Lycos. There are many more that are practically unheard of due to their low profile. It makes sense to focus the bulk of your SEO efforts on sites at the top like Google and Yahoo. Why is it important for my site to make it to the top three pages of the Search Engine Results Page (SERP)? Studies have shown that about 90 percent of search engine users do not look beyond the first three pages of the results. If your site is not within the first three pages for selected keywords, then you are missing out on hundreds if not thousands of laser targeted traffic. Why settle for the tip of the iceberg when you can reap the benefits of the huge chunk of ice that lies beneath? Once my site makes it to the first three pages of the search engine, will it stay there? The answer is a resounding NO. Remember that there are hundreds to thousands of other sites vying for the top three pages. For every site that moves up, another site gets bumped down. This is why SEO requires ongoing work. Changes in the search engine algorithm can also affect your placement in the SERP. We keep up with the latest changes and can make changes accordingly to ensure your site placement is not affected. A few weeks have passed; why is my site still not ranked in the first three pages of the SERP for the designated keywords? SEO is not an overnight process. Our staff has to carefully come up with the optimal longtail keywords, begin generating content and find sites to submit the content to. Additionally, everything must be done organically to make the link building appear as natural as possible to the search engine. The process takes several weeks if not months before any desirable results can be obtained. Slow but steady is the key; submitting 1000 backlinks at a time will not make your site jump to the top overnight and will more than likely trigger suspicion from the search engine. Why do I need SEO services when I can generate hundreds of content on my own using an article spinner? Yes, you can use an article spinner and churn hundreds of new articles from a single article. However most of these will not even be accepted by article directories. With dozens of poor quality content, you also risk getting your site penalized or banned. Bottom line on article spinning, I wouldn’t recommended it and we don’t use it as a tactic in our search engine optimization campaigns. What is Pay Per Click (PPC) and Will it Help My Website? PPC is an alternative to SEO where your site appears in the advertising column of the search engine. Whenever your site is clicked, you are charged a predetermined rate. The rate differs depending on the keywords and can range anywhere from a few cents to a few dollars per click. While some companies have great success using PPC, it is generally too cost-prohibitive for smaller companies.